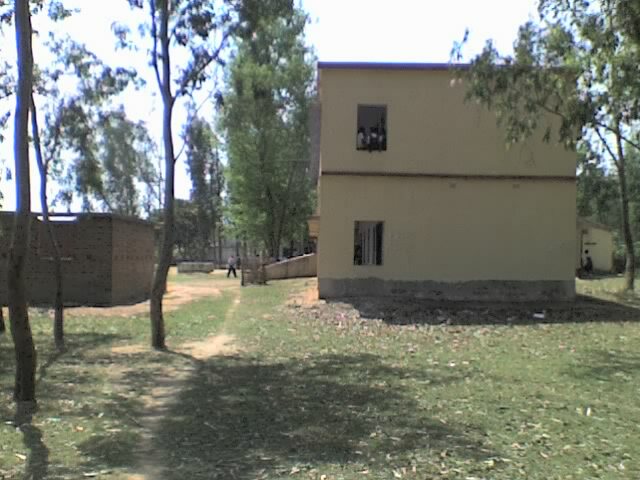 bijra high school is currently having their annual exam. so we are unable to continue our work there. school will reopen again from may 3rd. so our blog may have a little bit stagnency. 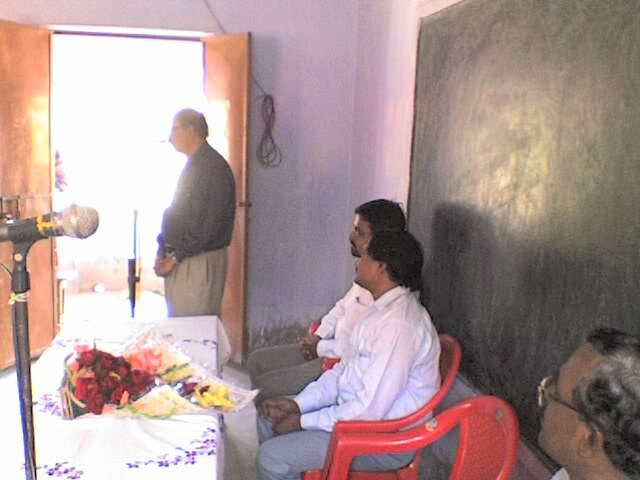 On 7th March 2007,Vice chancellor of West Bengal University Of technology came for a look at DGPLUG’s progress .these are the picture’s .the schoole organised a very small fuction in association to his visit. Subhodip( beton ) and Soumya went there for the event.Ajitesh was stuck due to some problem. from left we have, side view of bijra high school, VC giving a small talk,VC along with Indranil Das Gupta and principle of the school. To make them understand different computer and free software related terms we are facing real time grilling. Actually our first test came just on Day 2 when we started teaching them what is network and what are servers and clients. Ajitesh gave a example of Doctors and Patients and one Doctor serving several patients as Server and Clients. I think Ajitesh Acted finely as again giving a nice example of presence of mind. 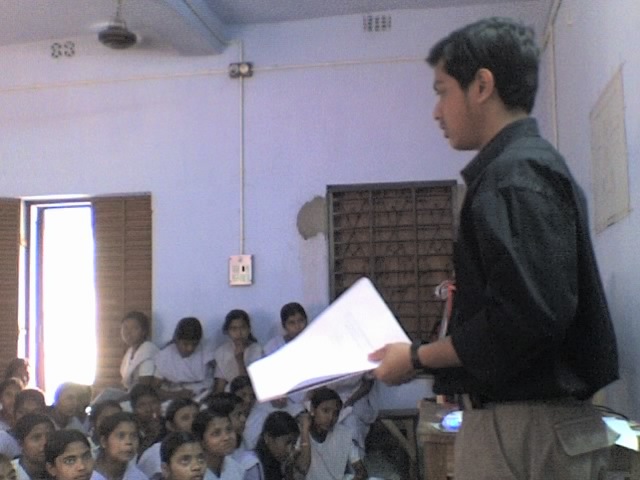 Actually our skills of giving examples are improving day by day and thanks to the students of the school. The next big deal was to make them understand what is a password and why do we use it ? Actually we had to give a example which they have seen in real life, So I choose taking the example of key combination locks and even number locks. I think the idea behind using password will not be very clear till they have a hands on, till they now know what is password and why using it. The next stunning thing which happened is a boy while telling this told “amar monehoy password anekta mobile phone er PIN er moton” which in english means that I think password is something like the PIN in mobile phones. Beleive me I was really shocked as we are teaching someone about password of computers and he is replying with PIN of mobile phones is strange…Then he told something which make us feel ki getting shocked is something which we shud make habbit. When he was asked about how do you know about PIN He told “asole mobile hate niye dekechi tai jani, computer thakleo sike jetam” which in English means I have seen mobile and used it if i would have used computers i would learn this things too. After this i think i am not in a state of commenting on his line and so i kept mum. Beton on day 3 again sprang up with typical examples of his own. While they were learning about DESKTOP the buttons on a paricular window etc etc. While explaining maximization of a window and after maximization of window same button acting as restore Beton told them ” tomra KBC dekecho ?? ” which means in eng ki “Did u people saw KBC ?? ” most of nodded +vely (i m happy that SRK has so many fans even here asme too is a fan of him ) , then beton said ” KBC te jerokom bhabe 20000Rs er por akta lifeline ashe serokom bhabe maximize howar porei oitai restore button hoy na hole hoy na” translating which stands as As in KBC after 20000Rs a new lifeline comes but doesnt come before samely maximize button becomes restore only after maximization not before that. Beleive me till the whole example was given i didnt have a hint of this type being a example but i am happy that students did understood the fact KBC and the buttons in a window :)) . We r carrying around finely we need a little pace, hope we get it soon. Actually Beton missed the interesting incident beyond our going there to make those kids grasp LINUX. On Day 2 during our course to teach them normal basics of computers .. from bengali tutorial prepared by DGPLUG suddenly came the time where Ajitesh asked them ki “Bolo to Internet ki hoy ?? ” which in english means tell me “What is Internet” .. reply came from a boy sittin in 3rd row ( hope i remember finely ) quite Unxpectedly that “Internet diye amra result dekte pai” means in english “we can see our results through Internet”. We were surprised that being a school dominated by slum dwellers they r in touch with the world may b too less compared to a town school but yet I personally was very happy as he knew the application of Internet. Class IX grasps the syallabi pretty fast as it is in Bengali its becoming more helpful. Hope we can develop them more !! Ajitesh had gone home,with all fc5 cds.what to do now? i had a copy of fc6,guess what we decided ! the machine is going to have FC6. decided and finalized. soumya installed the machine with Fc6 and its is running preety fast. apart from that bijra did have their normal classes . 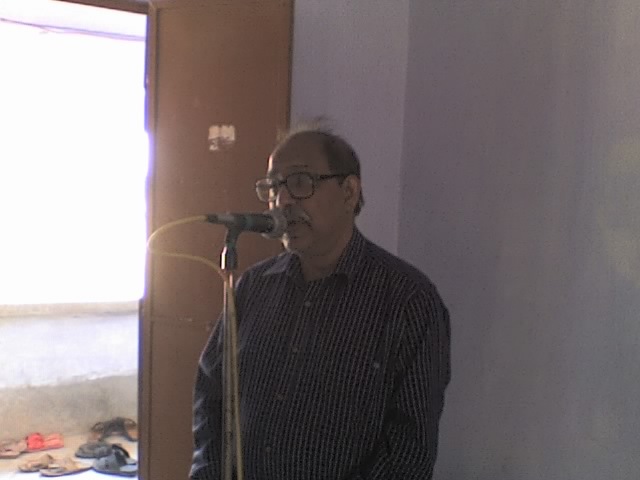 On 27 feb we again went to bijra for our second day class. while classes are taken as normal with a lot of enthusiasm from the student.we found some really interesting instances. 2) Monthly test were going on ,so we decided to wait for sometime for a class to come. class 8 did have few moments with us today. class 9 and 8 had a schedule clash.9 been given some priority. dont worry class 8 we will have you next time. On 5th of february ,we,members of DGPLUG,went to take their class. we prepared a module for them in bengali,so that it is easily digestable for them.The module was designed to start from scratch. On reaching there we were given 3 classes to take,8 A,8 B and 9 are the three classes. I took the class of 8A .Ajitesh took the class of 8 B ,and we jointly took 9’s class.Every class has an average of 60 students. while i was taking the class,what i experience was that this class has tremendous potential and the willingness to learn. Everything that we said were taken immediatly,sometimes even before we delivered it. we in 40 min almost completed the module. the next turn was of Ajitesh who took the class of 8 B.this class as compared to that of 8 A ,took a little bit more time to take what we delivered.But enthusiasm was very high. last but not the least class 9 was very prompt in taking our lectures. after 3 hrs of continous class we returned home. Bijra is a sleepy hamlet situated at the vicitiny of Durgapur Steel Township,one of the leading industrial hubs in West Bengal. litercy among its students almost FREE of cost. You are currently browsing the Bijra High School blog archives.